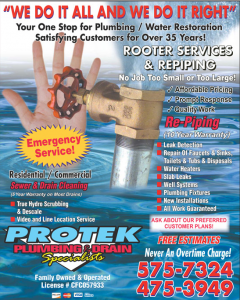 Your SW Florida Plumbing Company. Serving customers for over 38 years. Family owned & operated. 24 hour emergency plumbing service. Don’t wait for an emergency – Call us for all of your plumbing needs. From water leaks to drain clogs, we do it all. There is no job too small or too large.